If your school or college is looking for a sportswear manufacturer, rather than a supplier of standard merchandise they just happen to have available, it may well pay to contact Irish sportswear manufacturing giants, O’Neills International Sportswear. O’Neills were proud to celebrate 100 years in the sportswear market in 2018 and, such is the growth in their popularity, new manufacturing and warehouse facilities have been introduced to cope with the growing demand, especially from a thriving online shop business. The super-quick lead times direct from their factories in Ireland for bespoke and stock garments has been a key factor for the company in developing and maintaining new business. The O’Neills northern office is located at the Leigh Sports Village, Lancashire with Neil Williams, Paul Berry and George Kemp based there. A further three sales executives – Dave Larder (Huddersfield), James Scholes (East Ridings of Yorkshire) and Simon Chard (Glasgow) – make up the rest of the northern sales team. The O’Neills southern office is located in Somerton, Somerset with Peter Kennedy, Ben Knight and Stuart Hamilton located there. A further two sales executives – Michael Clark (Northampton) and Josh Brown (Worthing) – form the rest of the southern sales team. With graphic designers and administrative support in both offices, the whole team is managed by Susie Robertson, GB Sales Manager. The ability to provide customers with merchandise in anything from two days to eight weeks has set O’Neills apart from many of its competitors. Stock garments can be provided in two to three days, embroidered/printed garments in three weeks, totally bespoke teamwear in four to five weeks and bespoke leisure garments in six to eight weeks. Schools such as Bristol Grammar School, Manchester Grammar School, Kingswood School in Bath, King’s School Bruton in Somerset, Sutton Valence School in Kent (and many more) are now receiving a service they had found hard to find elsewhere. The O’Neills online shop facility offers schools, colleges, universities and sports clubs the benefit of minimising stock holding, and thereby ‘cash on shelves’, and ultimately ensures they can keep their chosen range of sportswear ‘current’, as they do not need to purchase large quantities of stock to sit on their shop shelves waiting for a buyer. The O’Neills rationale for entering into the online market has always been to minimise the outlay for their customers by taking on the responsibility themselves to stock the garments for sale on a 24/7 basis on a bespoke online store designed for each individual customer. 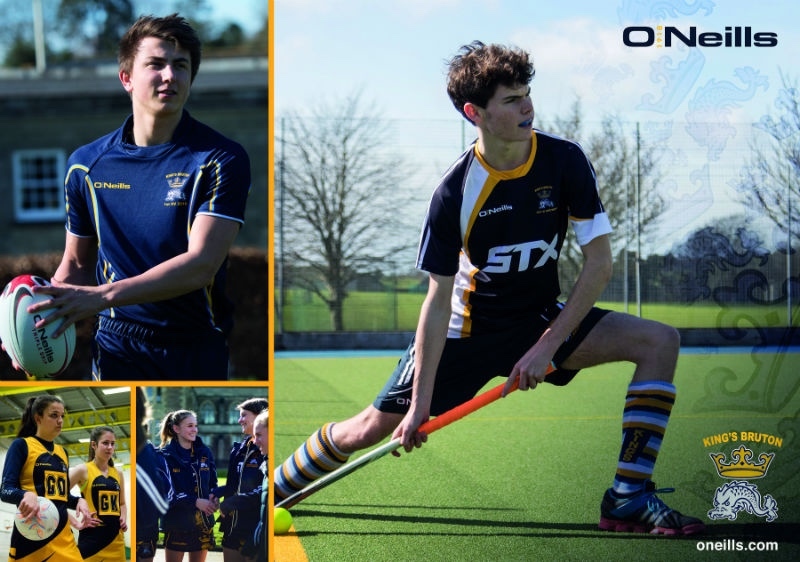 King’s School Bruton in Somerset has been previously documented in Independent School Sport as one of the schools which has led the way in moving away from the school shop stocking expensive lines such as teamwear, outerwear and even house requirements. All King’s School Bruton’s products are available via their bespoke online shop – even their printed teamwear including technical/match rugby, hockey, netball, cricket and athletics clothing, is offered online with a three- to seven-day delivery. Neil Williams, who joined O’Neills 11 years ago as North of England and Scotland Sales Manager, now looks after product development in the professional game. 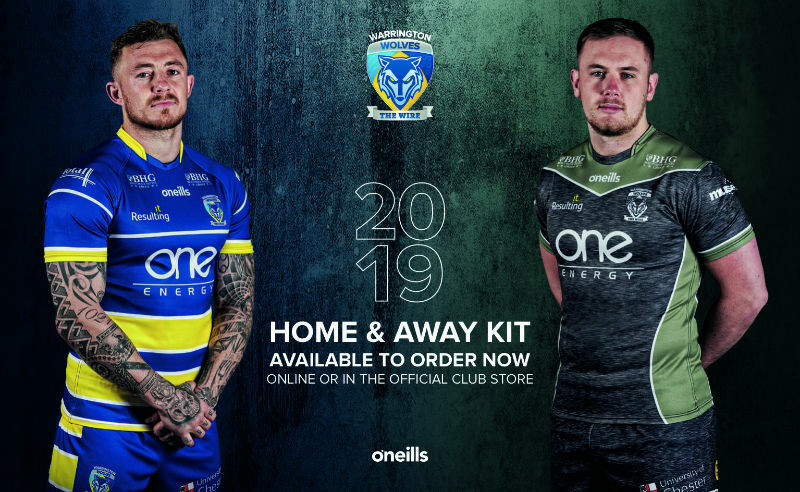 Working with some exceptionally talented designers, and with a creative mind himself, Neil has moved clubs like Super League champions St Helens into a new merchandising era. Everything they sell is bespoke to their needs, whether that is a replica shirt, T-shirt, polo, hooded top, bobble hat or teddy bear. As a result, their superb stadium store business is thriving. These ideas, allied to new fabrics and techniques plus low minimum orders and excellent lead times, has attracted Warrington Wolves and Catalan Dragons (Super League), Brumbies (Australia rugby union), Wales and Celtic Dragons (netball), Cricket Ireland and Wycombe Wanderers FC (football) in recent times, along with leading charitable organisations Wooden Spoon and the Injured Jockeys’ Fund. Being able to offer the education and community sports club markets similar products via both a direct sales method, whereby bulk orders can be placed with one of the regional sales offices and for the individual, via the online platform in a matter of days, has won many new friends and partners. The women’s and girls’ market has more recently entered onto the O’Neills radar with significant developments taking place in this sector to align with the growing popularity, and tremendous success, of female sports. It is no longer acceptable to simply offer unisex fits to female sports performers and all the O’Neills core garments are now available in appropriate female sizes. 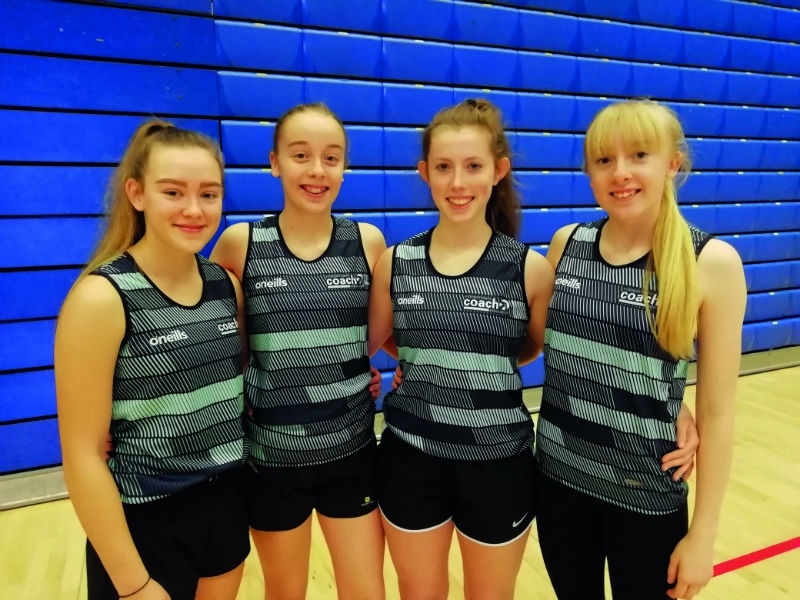 Teaming up with the Celtic Dragons netball team has highlighted this approach and the feedback at the recent Independent Coach Education Conference, led by international coaches Tracey Neville MBE and Sue Gaudion, highlighted the interest in the sport with over 200 delegates attending. All sports performers can be assured that they will be looked after by O’Neills!